Thank you to everyone who entered the giveaway! Stay tuned for more free goodies! The new simply…TM cookies are a delicious treat for home cooks who are looking for simple foods. 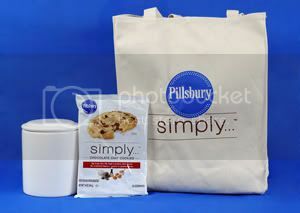 Thanks to MyBlogSpark, I had a chance to try out Pillsbury’s simply…TM cookies along with the giveaway package pictured which consists of a cookie jar, a Pillsbury canvas bag and a coupon for free Pillsbury cookies. I couldn’t get to the store right away to redeem my coupon and when I did, I realized the store I went to didn’t have the type of cookies that my coupon was for. So instead, I bought a pack of the new simply…TM cookies, they chocolate chip. The new cookies come in two favorite flavors, Chocolate Chip and Peanut Butter. They are made with wholesome ingredients like flour, brown sugar, eggs and vanilla and have zero grams trans fat, no high fructose corn syrup, no artificial colors or flavors and no preservatives. The cookies are ready to bake so there is no messy preparation, and they are ready in minutes. I usually prefer to make my own cookies and try out new recipes but I’m not averse to having something easy and quick like refrigerated cookie doughs either. My girls usually use refrigerated doughs when they want a quick and easy treat. So my girls were in charge of cooking these up and even though they should know better by now, they forgot to take photos of the cookies before they devoured them! They did say though that they were delicious. They baked the cookies two ways. One batch was a little undercooked for their dad and little sis who like their cookies gooey and chewy. The second batch was done until it was all the way cooked and slightly crunchy on the edges. That’s how I like my cookies. I agree with their comment. These cookies were delicious and if you didn’t know they were the refrigerated kind, you would absolutely think they were homemade. Now you can also sample the cookies and get the goodies to go with it by entering this giveaway. Pillsbury and MyBlogSpark will send one winner: a coupon for a free sample of simply…TM refrigerated cookies, a cookie jar and a great canvas grocery tote. How do you keep your cooking simple? Do you have any tips to simplify day-to-day life? For additional entries, use the Share This or ReTweet button below this post and leave me a comment where you’ve shared it. You will leave one additional entry for each place your announce this giveaway. 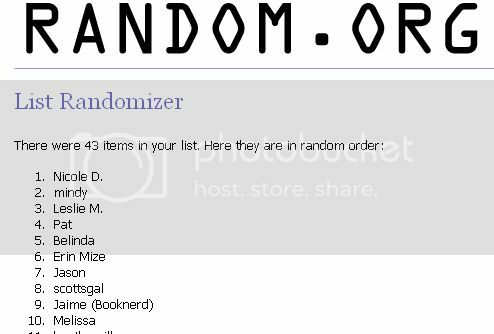 For five (5) additional entries, blog about this giveaway on your blog and leave the URL in the comments. This contest ends on August 22 and is open to U.S. residents only.